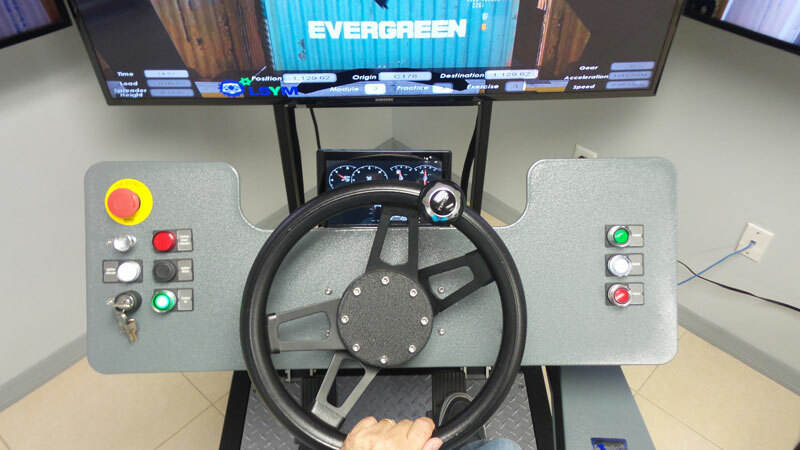 This type of machine is used for different operations inside a container terminal such as their movement, and loading to trucks. 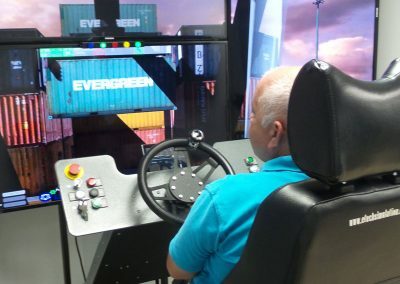 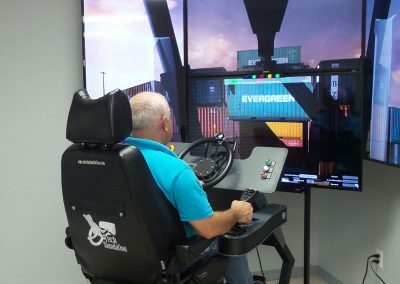 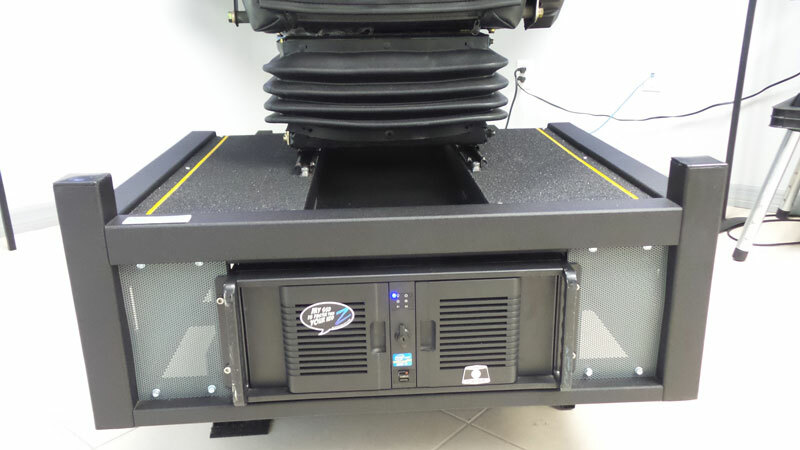 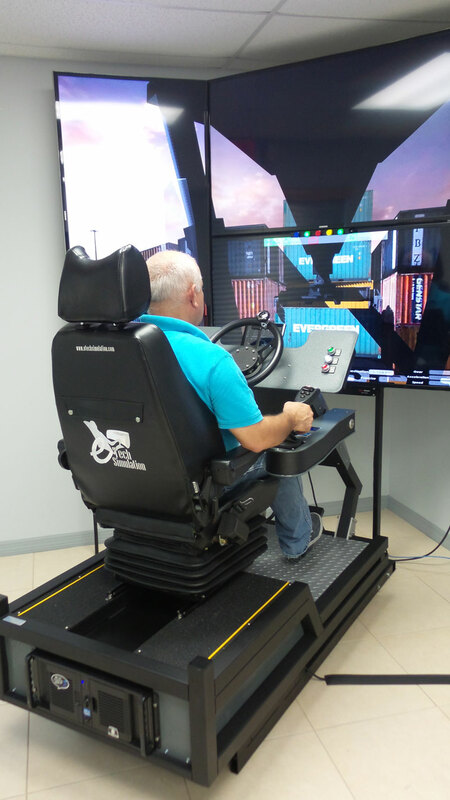 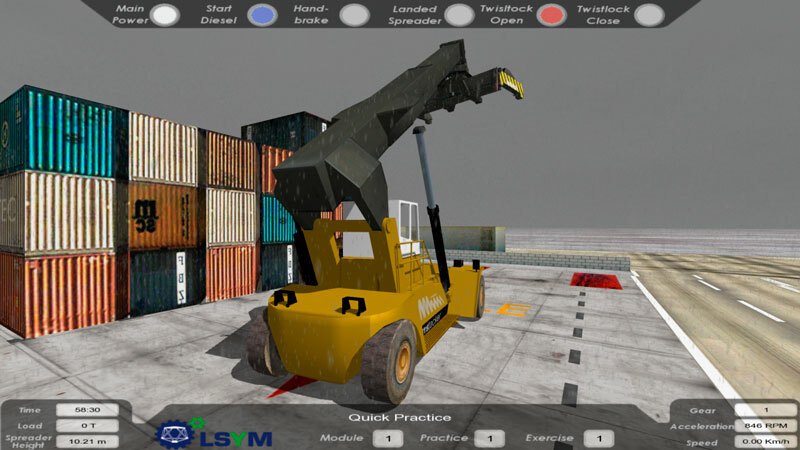 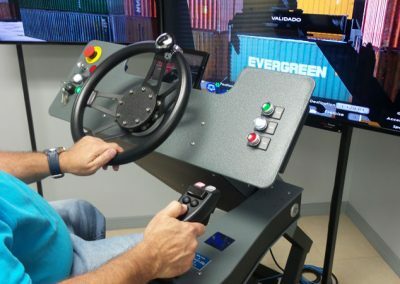 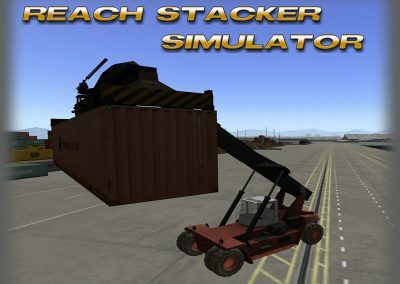 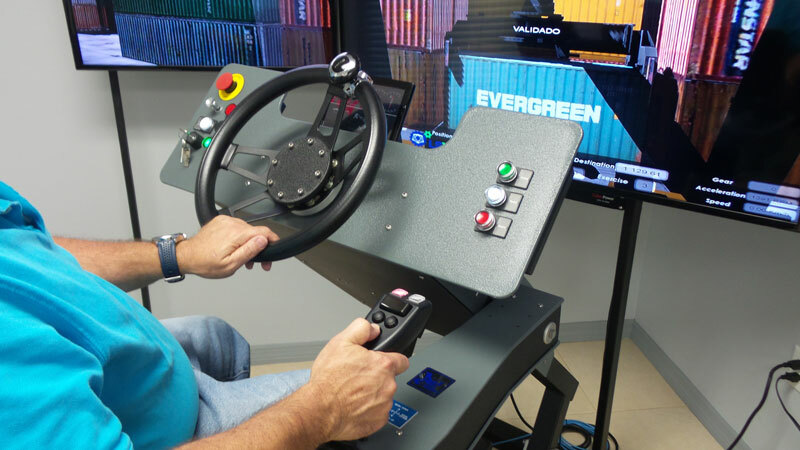 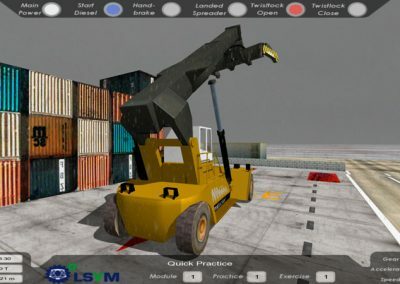 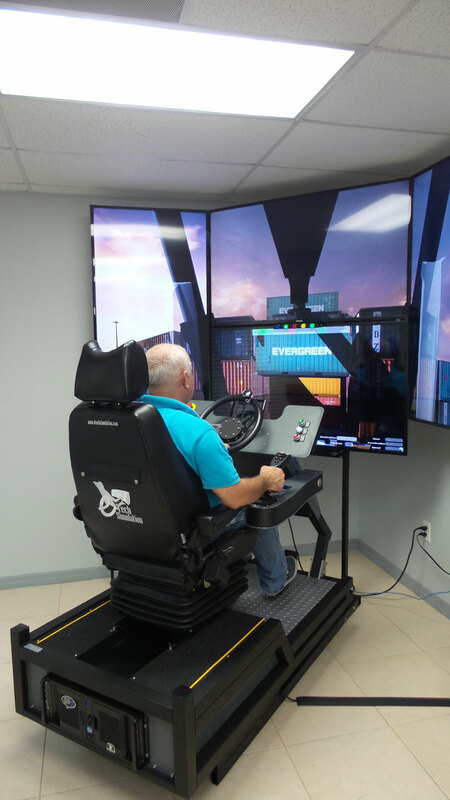 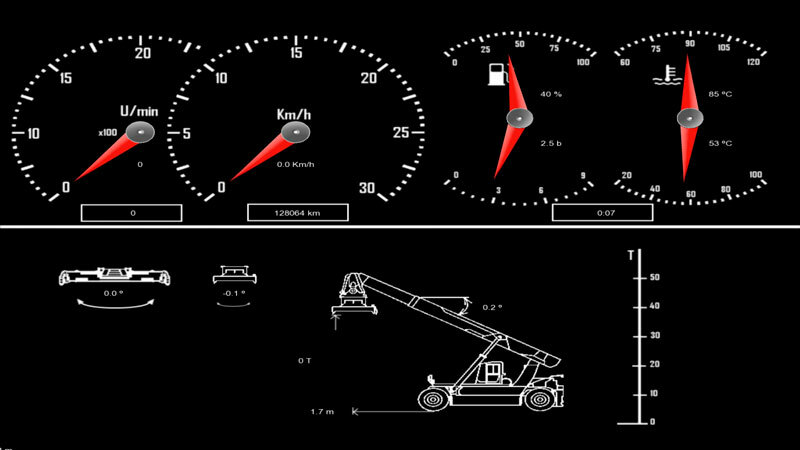 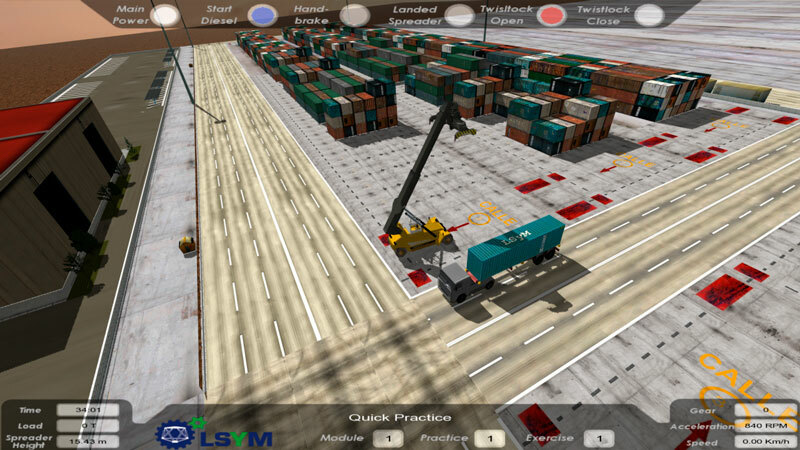 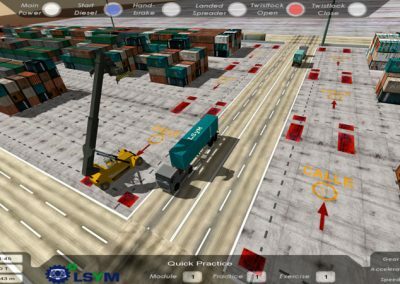 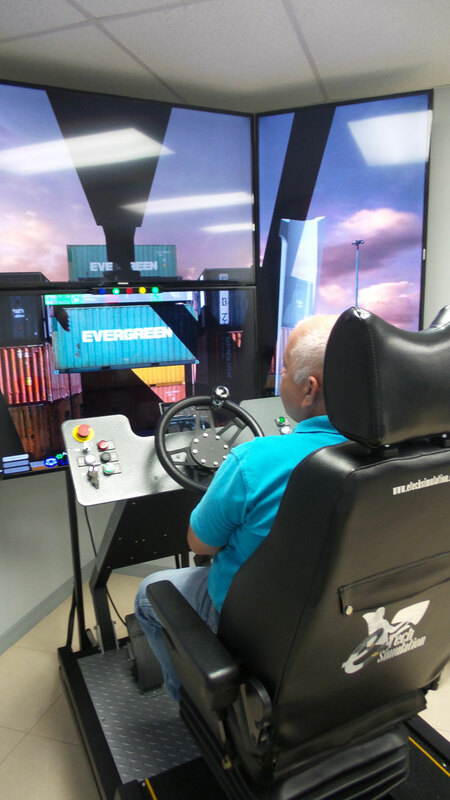 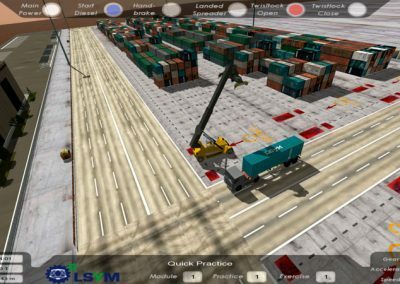 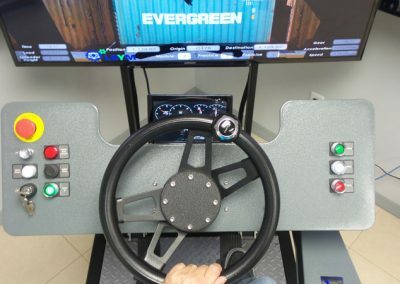 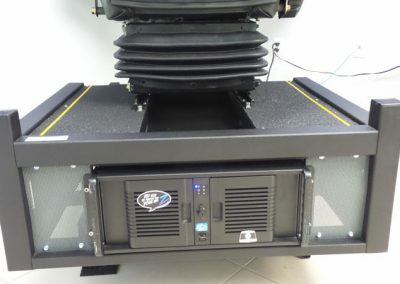 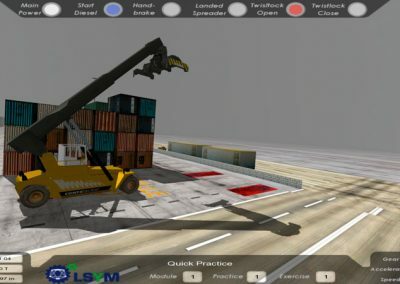 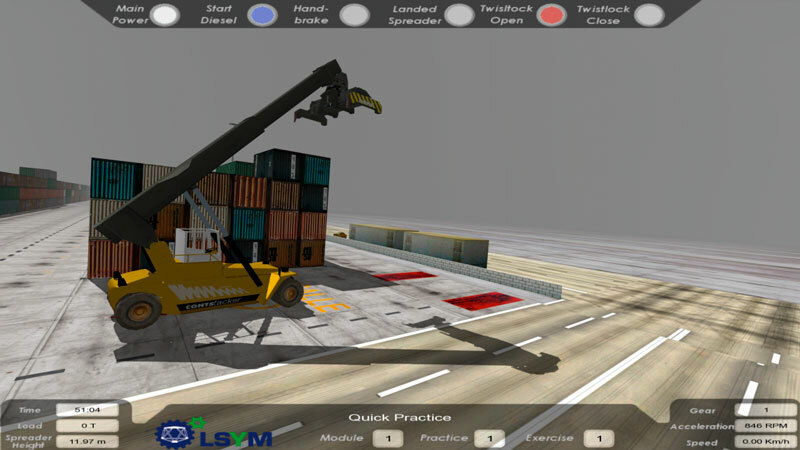 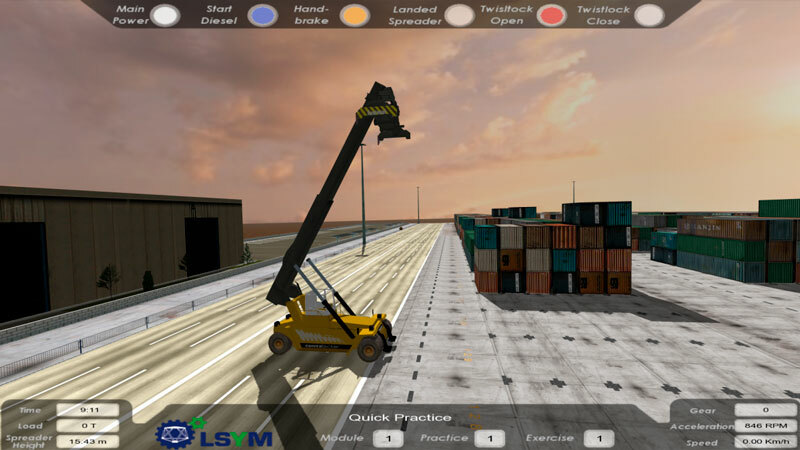 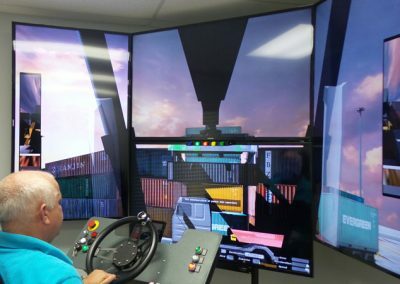 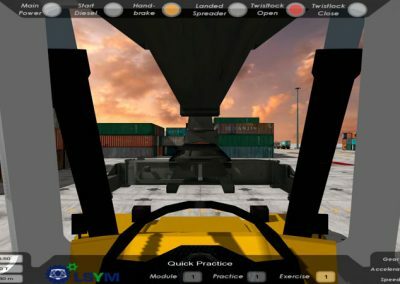 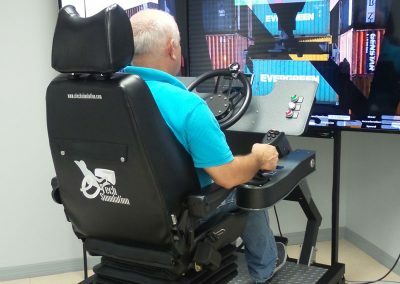 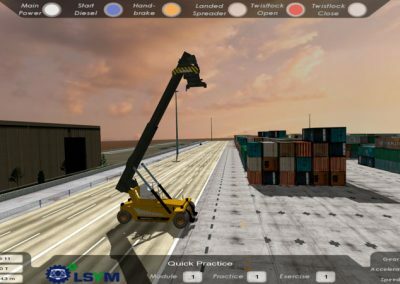 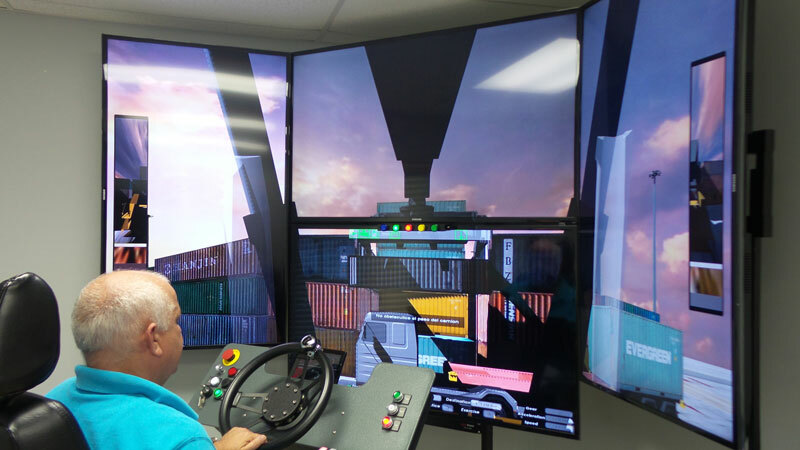 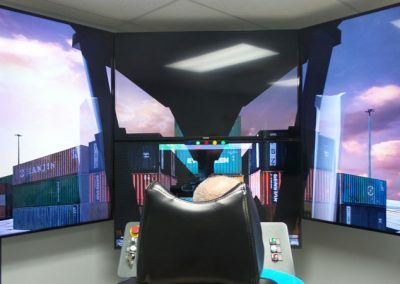 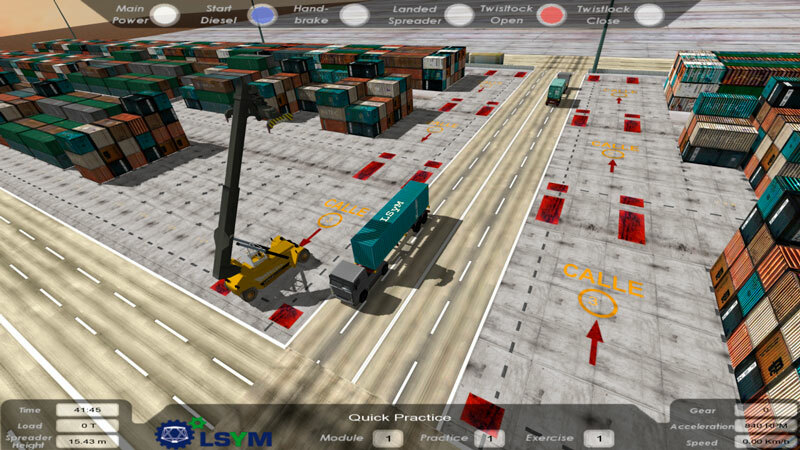 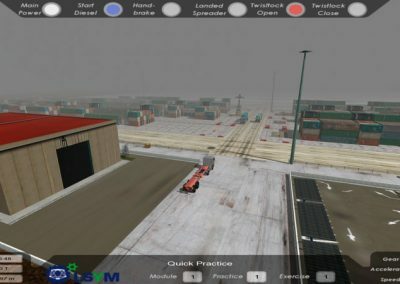 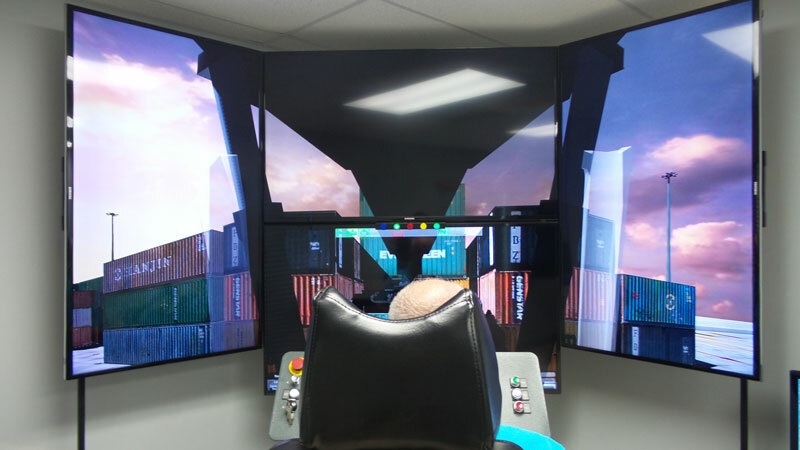 e-Tech´s Reach Stacker Simulator reproduces accurately the dynamics in the electronic standards of Cargo Movement Protection by including an indication display with the cargo´s weight as well as visibility features for stacking, movement and cargo manipulation. 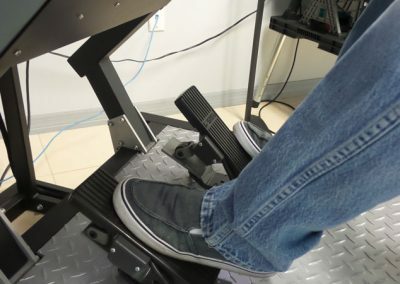 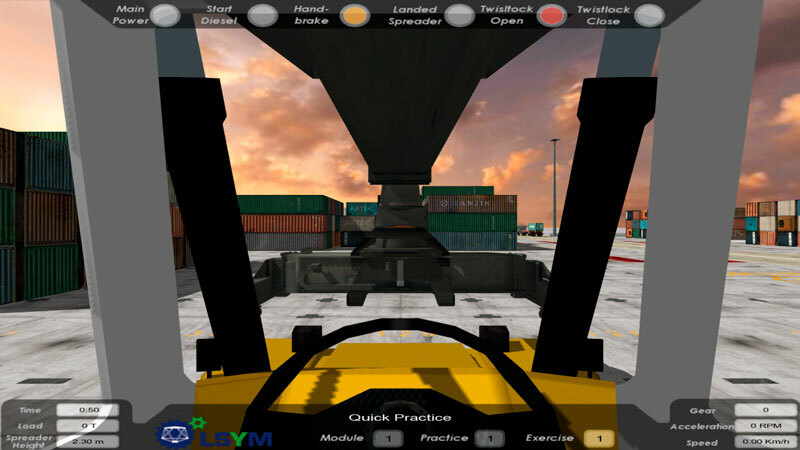 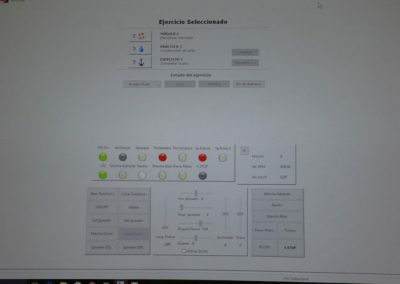 The instructor can activate different virtual cameras, so the trainee can have access to different visual angles which will help him during his training process. 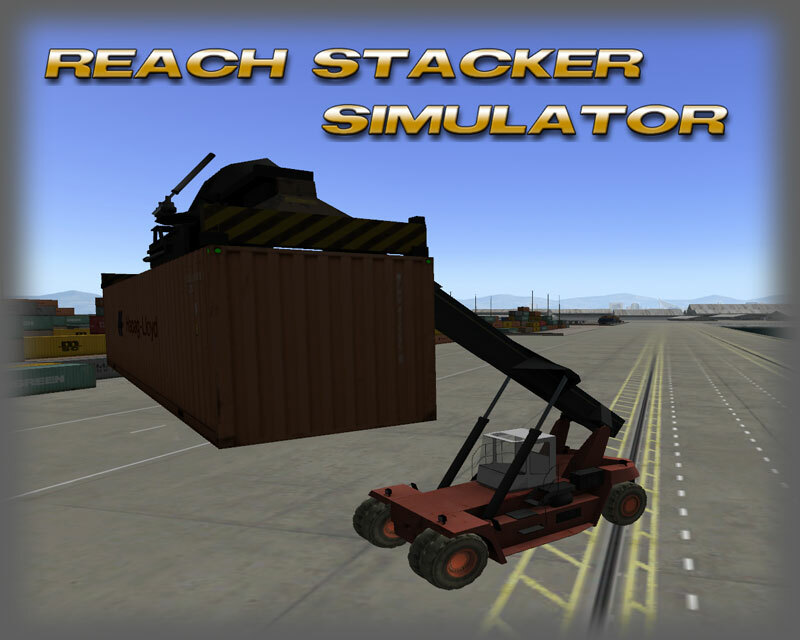 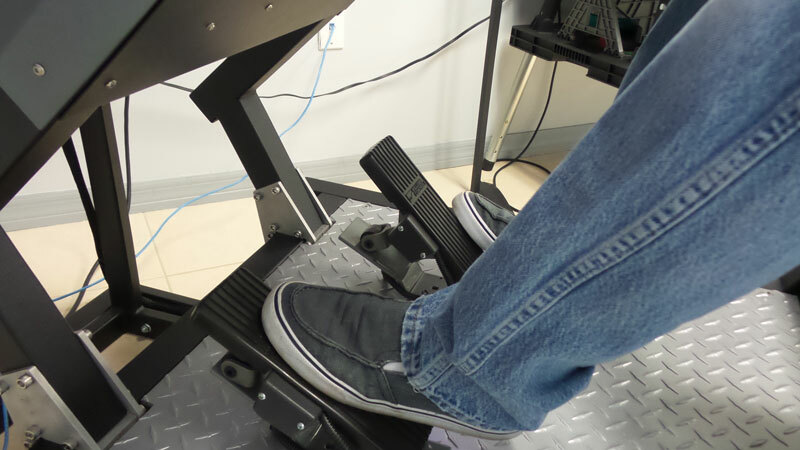 The driving simulation of the Reach-Stacker is based in high quality and accurate simulation models, including visual and physics features. 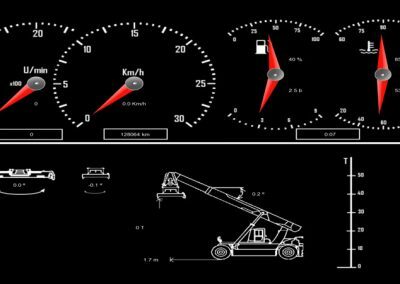 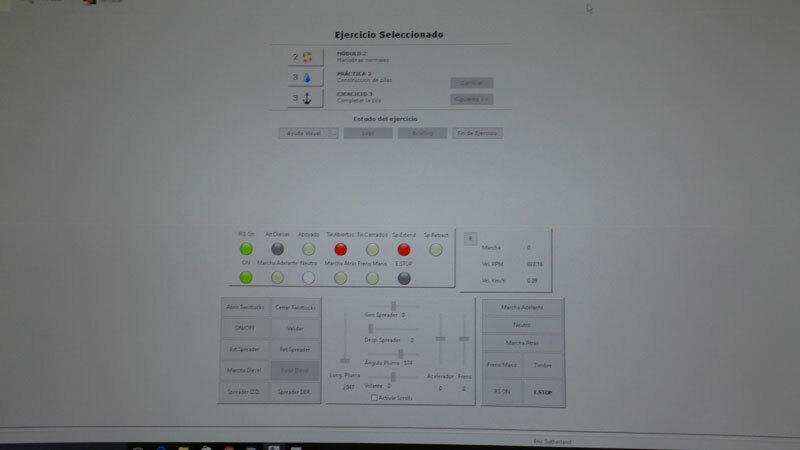 The model behavior includes the most important features of the crane´s movement as well as all the performance details which gives our simulation exercises a high realism fidelity.